WEST ASHLEY, SC (WCSC) - West Ashley High School's principal delivered a State of the School 2017 address Wednesday evening. 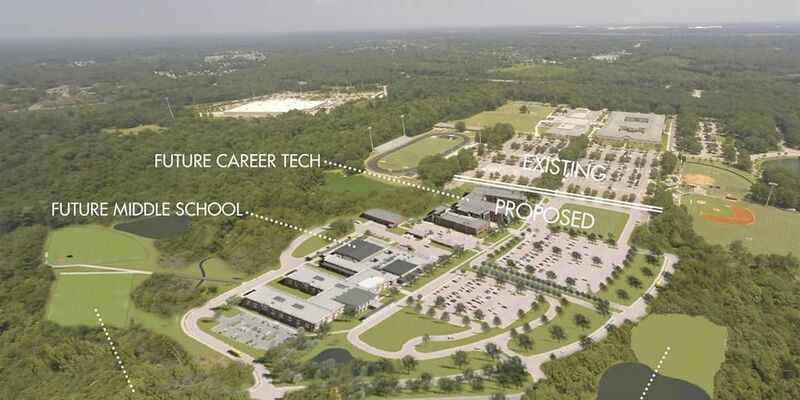 The address talked about the West Ashley High Center for Advanced Studies Building that is expected to be completed in 2021. The building will be for students who are taking college credit classes. West Ashley High School Principal Lee Runyon said the new advanced studies building will allow students to feel as if they are in a college setting, rather than the same building as their high school classes, and provides a greater opportunity for students. "The opportunity to access them earlier in your high school career than grade 12 you're going to be able to see the benefit of 18 plus hours of credit, already earned with lottery assistance involved in many cases, for pennies on the dollar in comparison to your family paying tuition at the undergraduate rate," Runyon said. Parents said this will allow their children to have a better transition from high school to college, "For kids when they go off to college they have to adapt to the college setting. So if they're in a college setting now it 'll really help to make that transition," Jerome White said. With the new college-like facility the district is also hoping to expand their current pre-college credit programs and keep all similar classes in the same building. The new building is part of the five year plan for the Charleston School District 10. On the school's campus there will also be the new C.E. Williams Middle School that is expected to be completed in August 2020. The current Williams Middle School is over capacity, the new site will allow for 900 students, Reggie McNeil with the Charleston School Director Programs said. Copyright WCSC TV 2017. All rights reserved.